The Yoga Studio is a small, friendly studio which opened it's doors in January 2009, ideally situated close to the town centre, and is dedicated to Iyengar yoga. The studio provides a comfortable and unassuming safe environment where students of all ages and abilities are welcome. Practising yoga helps you overcome and prevent many stresses, strains, aches and pains. It promotes a firm foundation for health and well-being. Yoga is one of the oldest systems of personal development in the world. This system of balancing the body, mind and spirit was formulated by ancient yogis, who understood man's essential nature and realised a way to utilise all of man's inner resources to live in harmony with himself and the environment. Students learn through a carefully graded and systematic programme of asana (posture). Pranayama (breath control) is gradually introduced once students have a firm foundation of yoga practise. Yoga practise both relaxes and energizes the body and mind and brings vitality, flexibility, strength, concentration, self-confidence and mental calm. Yoga is suitable for all types of people and all levels of fitness. Standing asanas- enhance elasticity in your joints and muscles. Build up stamina and physical stability. Forward bends- stretch & extend the rear part of your body. They prepare the body to go further and bring consistency and evenness in the development of physical and mental calmness. Inverted asanas- recover from the strains and stresses of everyday life and nurture vitality, mental balance, and emotional stability. Abdominal twisting asanas- tone and massage your abdominal muscles and strengthen you pelvic and lumber area. With twisting asanas you will envigorate your spine, tone your internal organs and achieve greater tranquillity. Backbend asanas- with these exercises you will develop physical sharpness and alertness. Your anterior spine is stretched and the effect is invigorating and enlightening. Supine asanas- recover from fatigue and strain, and prepare mentally and physically for pranayama. The world's most widely practised method of yoga is that taught by Yogacharya Sri B.K.S. 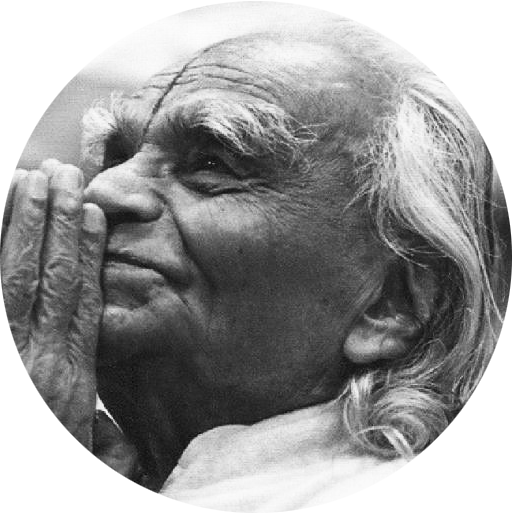 Iyengar (India 1918-2014). He has studied and practised Yoga continuously for over 70 years. Iyengar's thorough study, understanding and mastery of yoga are unrivalled in modern times. Having taught in all five continents, he has won worldwide respect and recognition for his achievements and has made yoga accessible and relevant to people everywhere, no matter what their physical or mental ability. Saskia was born in Holland in 1963. Having spent 22 years abroad (New Zealand and Indonesia), she now lives in Breda with her family since april 2008. Saskia has been practising yoga intensively for the past 25 years, and holds a Junior Intermediate III certificate. To deepen her knowledge of yoga she studied at the famous Ramamani Iyengar Memorial Yoga Institute (RIMYI) in Pune, India. The last visit was during the whole month of July 2011. She has followed numerous workshops from globally acclaimed teachers linked to the RIMYI both in Holland and abroad. In November 2005 she was very fortunate to have been able to attend a 5 days workshop with B.K.S. Iyengar himself in Colorado/USA. 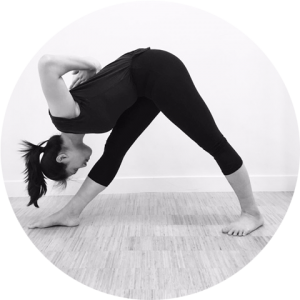 Joelle’s first yoga intention was to become flexible in Shanghai in 2004. Thanks to Iyengar yoga she learns to penetrate the different layers of the body and becomes more aware of herself at the physical, mental and spiritual level. She strongly believes that yoga can contribute to anyone’s well being. And she is eager to share her knowledge, experience and insights with others. Joelle is a certified Iyengar teacher level intro I& II, she regularly follows (inter)national workshops. Since her childhood Noemi has practised yoga. Early morning you would find her doing Sun Salutations with her mother. Now, years later, she is doing just that with her 3 daughters. She loves to introduce more children to yoga. Noemi is a certified children’s yoga teacher. We work with standingposes, introducing forwardbends, backbends and shoulderstand. Improving stamina, mobility, stability. We work with standingposes, forewardbends, backbends, shoulderstand, introducing headstand. Improving stamina, mobility, stability by holding poses a bit longer. We work with standingposes, forewardbends, backbends, shoulderstand, headstand and other inversions. Holding poses a bit longer, working with more detail. This class is suited for both beginners and more experienced students. Through restorative poses we work to relax and renew the energie bringing awareness to the breath. We will move through various guided breathing exercises to help in deepening the breath, relaxation and stress relief. Playfully introducing children at a young age to yoga and the filosofie. In this class we ease more into the poses at a slower pace. Bring a towel, you will need it when you've washed your feet! Wear clothing that is easy to move in. Modest comfortable shorts or leotards and footless tights are suggested. Long baggy pants are not recommended and bare feet are essential! Yoga should be practiced on an empty stomach. Allow at least one hour to elapse after eating a light meal and 2 to 4 hours after a heavy meal. Food may be taken half an hour after completing the asanas. Classes will begin promptly as scheduled. Please arrive 10 minutes before class begins. If you have any special physical problems or medical conditions including pregnancy, consult your physician about attending classes and be sure to let the teacher know. Preferably by bicycle, plenty space to park on location. If you do need to bring your car, you won't be able to park on Ginnekenweg, but might have a chance on Prins Hendrikstraat, or on the opposite side of J.W. Frisolaan.